as relevant today as ever. Telara Art Studio is the place to experiment new ideas. We supply cut to size marble blocks. We offer assistance in delivering and installing works. We provide accommodation for artists working at our studio. 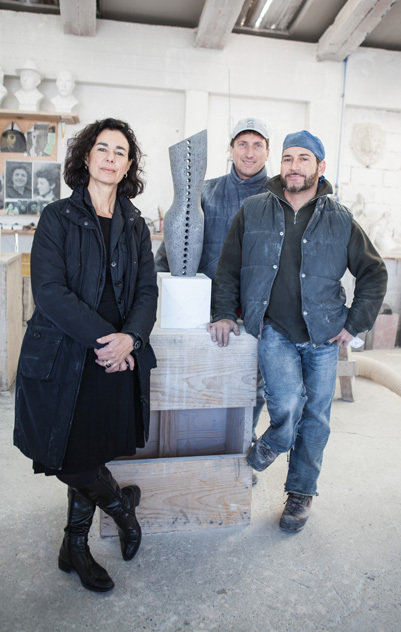 Maria Teresa Telara, Mauro Tonazzini, Adriano Gerbi.